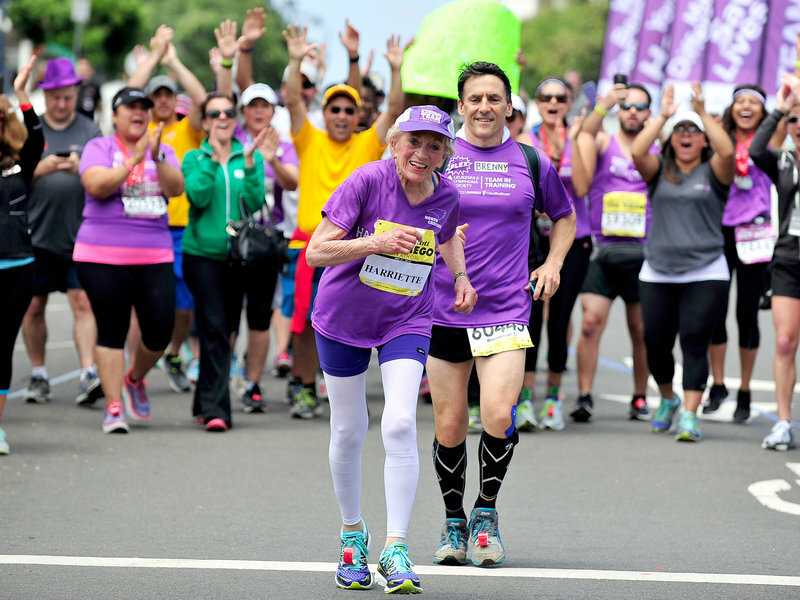 92-year-old Harriette Thompson running a marathon. What an inspiration! Earlier this week I stumbled across the inspiring story of 92-year-old Harriette Thompson, who successfully ran a marathon in San Diego over the weekend. She ran it in just over 7 hours and it was her 16th completed marathon. You’re never too old – Harriette ran her first marathon at the age of 76, which is an amazing achievement in itself, but to complete one at 92 is extraordinary. I don’t know what your aspirations are, but it’s never too late to start, so throw the rug off your knees, get off the couch and start making progress towards your goals. Preparation is the key – I’m sure that Harriette didn’t decide to run a marathon a couple of days before the race. She would have had to plan, prepare and practice to get in the shape required for such an achievement. Whatever you are looking to do with your life, it won’t just happen automatically if you aren’t prepared to put in the work beforehand. Your excuses aren’t good enough – In addition to being 92, Harriette survived a bout of mouth cancer in 2013, showing great resilience. She had plenty of excuses for not continuing to run, but she ignored them and kept going. Not good enough. If a 92-year-old woman can run a marathon, then you can, and should, put aside your excuses and start maximising your potential. Well done Harriette on your extraordinary marathon. I hope that you can run a few more and continue to inspire us all. Previous post – Who Are You Trying To Be Better Than? « Who Are You Trying To Be Better Than?